Setting goals is one of the most important steps that you can take toward achieving success in any aspect of your life–be it professional or personal. Most business owners are highly aware of this: after all, starting and maintaining a company is, in itself, quite a tremendous goal! It is surprising, therefore, how many of those same business owners fail to set clear goals when it comes to their social media campaigns. All too often, business owners sink time, money, and energy into social media without considering the ultimate end-goal. As a social media management company, we certainly believe in the power of social media here at Frogman Media Group! Even so, we would never advise a business owner to invest in social media marketing without first understanding his/her goals. S It is important to understand exactly why you are running your social media campaign, and what goals you are shooting for. A few of the most common goals include: raising brand awareness, driving web traffic, fostering brand loyalty, or even directly creating sales. Taken alone, however, these concepts are not enough: it is important to assign a particular number as a goal (i.e. boost web traffic 20%.) This will truly allow you to measure success or failure, to gage ROI, and to adjust your plan as necessary. M If you are having trouble with being specific, it may be because you are choosing goals that are simply not measurable. Deciding that you want to increase engagement (likes, shares, comments, etc.) is far more productive than saying you want people to pay more attention to your posts, for example. A We all want to shoot for the stars, but sometimes it’s better to accept your limitations and choose goals that correspond with the complex circumstances of reality. Choosing goals that are not realistically achievable does nothing to help you gage your efforts, and it can even be emotionally destructive. 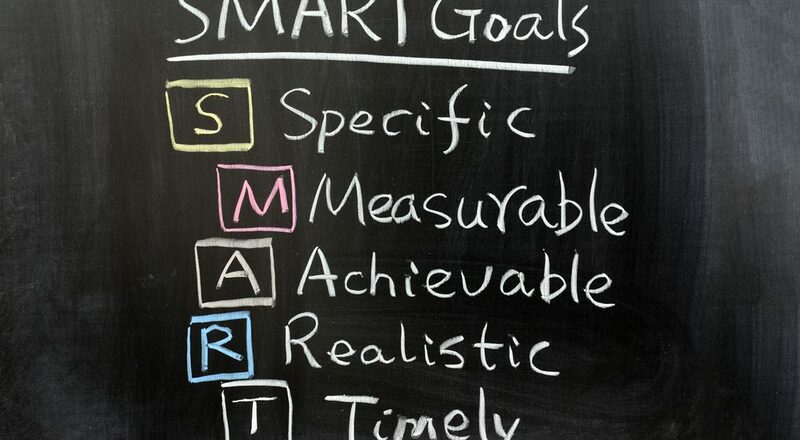 R Your goals should be relevant to your business and to your online structure. For example, a company that doesn’t offer any form of e-commerce might not want to set “directly create twenty percent more sales” as a social media goal: it would be very difficult to know if the rise in sales directly correlated with social media. Time-Bound. Finally, it is important to create a timeline in order to hold yourself accountable! Establish set dates during which you will evaluate (and possibly restructure) your goals and your progress. For many busy small business owners, the biggest social media hurdle to overcome is simply getting started. It can be all too easy to settle for the status quo–even when you know deep down that your current social media campaign simply isn’t making the grade. Educating and reminding yourself of the potential benefits that social media can offer is a good motivational tool to overcome this challenge–and it is also helpful to remember that you don’t necessarily need to do everything on your own. Is Professional Social Media Help Right For You? Whether you are starting a social media campaign from the ground up, or simply striving to improve your current efforts, getting help from social media professionals is often the most effective way to achieve real results. Such an investment can take various forms: perhaps you wish to outsource every detail of your campaign to talented experts–or perhaps you simply want a bit of guidance. Whatever your unique situation may be, there are plenty of social media pros who would be happy to set you on the right track: saving you time and energy while maximizing your chances for success. If you think that professional social media management might be right for you business, contact us at FrogMan Media Group today!